Owning an apartment building and being a landlord can be a highly rewarding experience and an excellent way to have an investment property that you can keep a close eye on. It can also get expensive, though, when it comes to taking care of everything that has to be handled on a day to day basis. Even when tenants pay their own utilities, there are common areas that have to be maintained, well lit, and properly supplied with heating and cooling. Those areas are larger in some apartment buildings than others, but even small spaces can take their toll on the utility bills. To keep the costs down and realize as much savings as possible, here are some tips for energy conservation. First, make sure you upgrade your lighting systems. That will mean some up-front cost, but it’s well worth the savings you’ll receive. 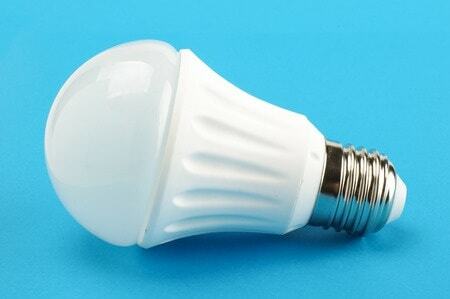 By using CFL or LED light bulbs, you can reduce how much energy you’re using. In time, you’ll recoup the cost of the bulbs, and everything beyond that will just be pure savings. While you’re changing out light bulbs, install occupancy sensors in all the common areas. There’s no point in having lights on when no one is there, and turning them off can save you quite a bit. Second, keep up with the maintenance of your cooling and heating system. A lot of landlords will neglect this, because maintenance costs money. It’s understandable, but in the long run it really doesn’t pay off. The maintenance generally costs far less than the repair work that is needed when something breaks down because it wasn’t maintained properly. When these systems do eventually need replaced, make sure to purchase new systems that are Energy-Star rated and that are designed to last. While these may cost a bit more up front, they will save you money over time. Another point to consider is switching over to natural gas, if it’s available in your area. It costs less to operate natural gas appliances than comparable electric models, so that adds up to another cost savings. While landlords may be resistant to that large of a change, it can be well worth the effort and expense in some cases. It’s always good to consider your options, so you can find what works best for your individual needs. Keeping your tenants happy and lowering your expenses don’t have to be mutually exclusive. Other ways for owners of apartment buildings to conserve energy include insulating boiler pipes, turning down thermostats on water heaters, installing controls to minimize ventilation run times, and sealing air leaks. Those are relatively easy to do and generally don’t take that long to complete, but they can really add up to hundreds or even thousands of dollars in savings. That money can then be used in other areas, to provide further value to tenants who will appreciate everything you can give to them even though you aren’t spending a lot of money.